The search for the missing Camp Pendleton Marine is entering its second week. 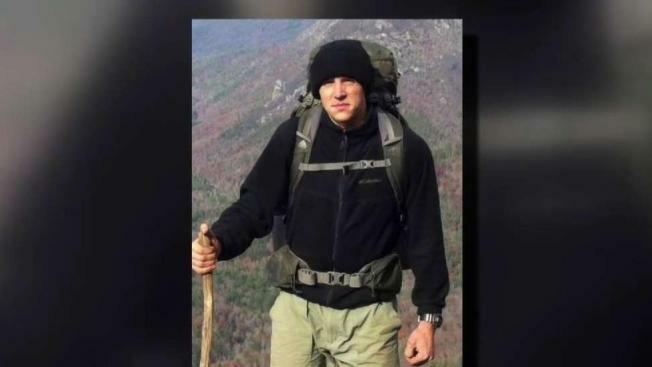 On Saturday, search and rescue volunteers combed a section of Onion Valley Road west of Independence, California, near the Kearsarge trailhead where 1st Lt. Matthew Kraft was thought to have been, the Inyo County Sheriff's Office said. The road is currently closed for the winter and impassible because of heavy snow and rock fall. Kraft's rental gray 2016 Jeep Wrangler was found around 9 p.m. Friday near Lower Grays Meadows Campground, above Independence, the ICSO said. He was reported missing Monday to the Mono County Sheriff's Office by his father after he failed to return from a backcountry skiing trip on the Sierra High Route, the United States Marine Corps 1st Division said. His itinerary included hiking out of Kearsarge Pass, between Kings Canyon National Park and the John Muir Wilderness, on Feb. 24, and hiking out near the Twin Lakes area by Bridgeport Sunday or Monday, the USMC said. Mono County deputies started searching for Kraft in the Bridgeport area Monday. Pings from Kraft's last cell phone activity showed that he was in the Independence area in Inyo County, the MCSO said. The ICSO started searching for Kraft on Tuesday. Other agencies have since joined in the search for the missing Marine, including the Marine Corps, the Madera County Sheriff's Office, the Fresno County Sheriff's Office, Sequoia and Kings National Park, Yosemite National Park, and the California Office of Emergency Services. Search crews reached about two miles from the Kearsarge Pass on Saturday but had to stop because of avalanche concerns. Several avalanches were observed in the area, deputies said. On Sunday, crews searched for Kraft by air because of dangerous road conditions. Sequoia and Kings Canyon National Parks provided a helicopter to assist crews in finding Kraft. The boundary of the parks begin at the top of Kearsarge Pass and extends for roughly 70 miles. Search and rescue teams will continue to search for Kraft for as long as the weather permits, the ICSO said.